May Allah reward your beautiful intention. 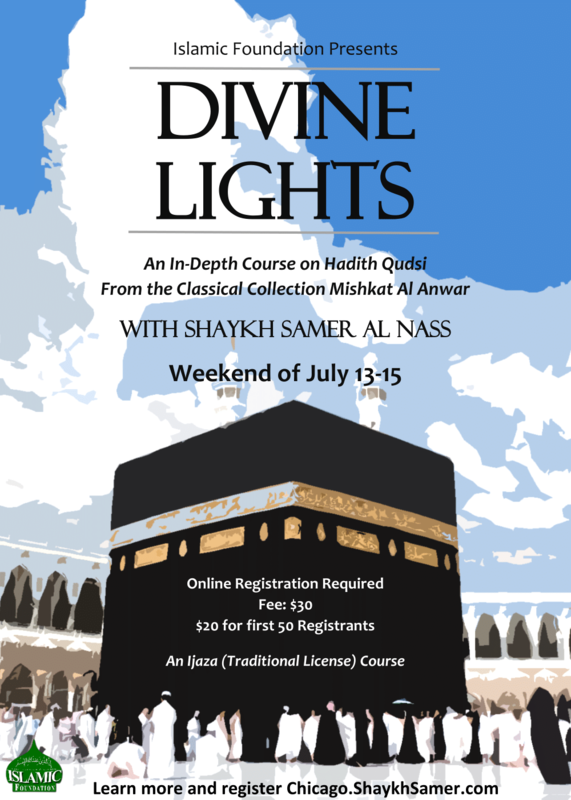 Thank you for registering for Divine Lights with Shaykh Samer al-Nass. Your registration is complete. You should receive an email confirmation within the next few minutes with your receipt. Stay updated on details and information of the class, including who else is coming, and let people know you will be attending by joining the FaceBook Event Page. Please help spread the word of this beautiful gathering - click here to download the flyer. ​We need your help! Want to be part of having a hand in this blessed gathering? Email us to join the team.